So we bid “farwell @johnpiper”. 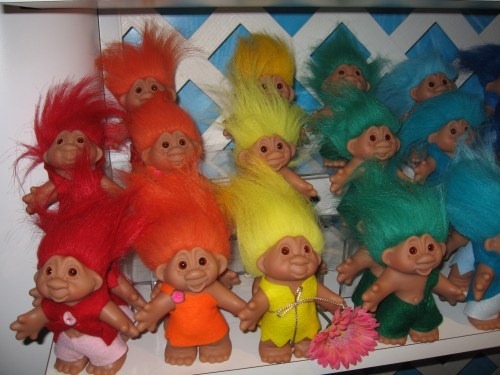 Collect the new ODMafia Troll dolls! We have finally found a way to honor all the trolls ODMs out in the WWW. Troll dolls are cute and fun to collect. Be sure to get them quick before they are gone! 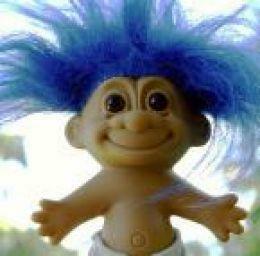 Here is our special for today… the Ken Silva troll doll! Collect them all! Pastorboy aka (name withheld by request! ), and Chris Rosebrough and many others! This is so sad. How can heretics claim to take a stand against our hatred for them. We have our great and powerful DOCTRINES to stand behind on and they have their liberal interpretation. They follow liberals like Arminius and those influenced by them! We have Calvin and Luther! (Yes at times we allow a Calvininium in our midst, but only if they hate the same people we do!) These people love to be challenged in their faith while we want them to learn our ways of judgment and condemnation! While many will denounce people like Fred Phelps, we here know that most of those who call themselves part of the ODMafia agree with Fred Phelps on the important things like hating gays and others that are not like us! Join with us to hate the anti-haters! Send us your donations now before we are hated out of existence! God is sovereign! Alarmed by the disturbance our masters and heroes Dr. I . Todyaso, Dr. Truthslayer and Dr. Don Jobson quickly withdrew their weapons. Now brandishing their bullhorns in the manner of Todd Friel—they began to shout down that vile and Wretched sinner Rob Bell. Our heroes the OD Mafia proclaimed the True Gospel—the good news of God’s Absolute Sovereign Wrath and commendable hatred towards all those whose doctrines are impure and theology is incorrect. 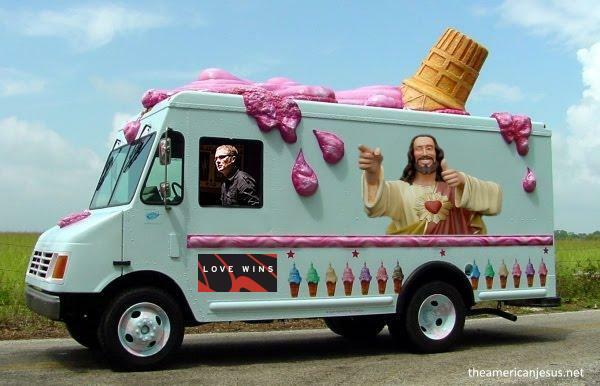 P. S. If you see an Ice Cream Truck disguised as a traveling ministry with “Love Wins” painted on the side, please report the sighting to your nearest local Discernmentalist church.